 The Scene Magazine - Page 4524 of 4581 - What's up Toronto? Hey Rosetta – Home for the holidays! Comments Off on Hey Rosetta – Home for the holidays! Posted by Darrell on Dec 12, 2011 in St. John's, St. John's pick of the week 2 | Comments Off on Hey Rosetta – Home for the holidays! Hey Rosetta’s explosive live shows have earned them a devoted following. The band’s new album, Seeds, was produced by Tony Doogan (Belle and Sebastian, Mogwai, Wintersleep) and reveals a maturing lyrical depth and an adventurous musical atmosphere rooted to the band’s passion for epic musical experiences. Seeds was shortlisted for the prestigious Polaris Music Prize and the band received two CASBY nominations (Favourite Canadian New Artist and Favourite New Indie Release). they return home for two shows this week, don’t miss it!